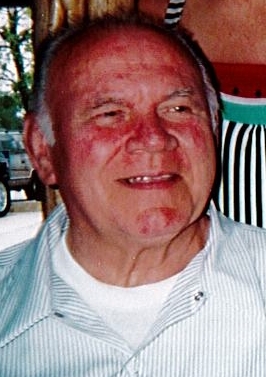 BOARDMAN – Donald C. Bernhard, 84, passed away peacefully Sunday, Jan. 20, 2019, at St. Elizabeth Hospital with his family by his side. Don was born July 6, 1934, to Cramer and Louretta Bernhard in Breezewood, Pa., He spent most of his childhood at the family dairy farm before moving to Youngstown, when he was 18. He worked on the Erie Lackawanna Railroad and at Aerolite Extrusion Company, working both jobs for many years to support his family. Don had a gift of being able to fix just about anything and would come up with innovative ways to improve things that were not broken. He also liked playing cards with family and friends. After retirement, Mr. B. could often be found outside mowing the grass or just relaxing on the porch. Also important to him was going to Tuesday morning breakfast with a close friend. To cherish his memory Don leaves his wife of 61 years, Beverly and their three children, Denise, Pamela, and Donna (Marc) and a son, Don. He leaves three grandchildren, Jennifer (Tyler), Matthew, and Trevor as well as two great-granddaughters, Everly and Riley. He also leaves his beloved sisters, Mabel and Joyce (Bruce). There are no calling hours. A memorial service is being planned for the spring and will be announced at a later date. Arrangements are being handled by the Davis-Becker Funeral Home. Please visit www.beckerobits.com to send condolences.